Believe It or Not, It All Started with Baseball. When I tell people my story of how I got started in this business they are often surprised of where I ended up. It’s not the most natural course for a 23 year old ex-athlete to create a niche of training 45-70 year olds. But 7 years later, that’s exactly where my career has led me and I wouldn’t have it any other way. In the beginning I took the natural path…I ended my career with the Kansas City Royals and took a job with a local baseball academy called the St. Louis Pirates. I gave pitching lessons and helped with the team practices on the weekends…however I saw an opportunity. Strength training was absolutely void in their program. 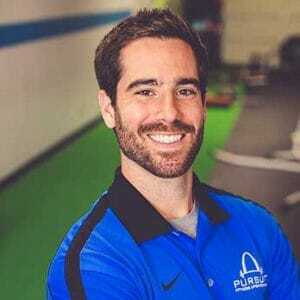 Through my background in exercise science and my certification in strength and conditioning, I knew how important strength training was to the success of my athletes, not only to enhance their performance on the field but as an injury prevention tool as well. So I decided to approach the owner of the team and get his permission to start a strength program. Our agreement was simple. I volunteered some of my time as a coach for the potential to create individual and group programs for those wanting to go the extra mile. I negotiated “leasing” the space of a small 15 X 15 foot storage room…a tiny piece of the massive 20,000 sq ft turf area outside my door. I didn’t care that it resembled a “padded cell” more than a gym. Who needs air conditioning and windows anyway? I had MY OWN SPACE and I was in love with it! Many road trips and U-haul loads later, my gym was finally equipped. The stories of how I acquired all of my equipment could be a blog post in and of itself. Let’s just say that Craigslist is both the most amazing and sketchiest way to purchase gym equipment with little to no budget. And when you bring your future father-in-law along for the ride…well let’s just say I owe him BIG TIME. I gave it a few days and decided I would do it. I liked the parents who were inquiring and maybe it would be good for me to broaden my horizons to get me outside my comfort zone. So I took on my first group of 3 parents and quickly realized I had no idea what I was doing. I expected all of the parents to be able to simply perform the exercises that I had planned for the day, but that wasn’t always the case. In fact, it wasn’t the case at all. There were many differences between the 3 individuals that I had not thought about before designing the workout. Pretty much everything I had planned for the day became obsolete. I may as well have not written a workout at all and to this day, I couldn’t have told you what we ended up doing that day. That night I went to work researching how to train my new population. What I found was that not a lot of people were training adults in groups. However, I came across a couple gold nuggets. The few gyms that seemed to be doing this right had a common theme. 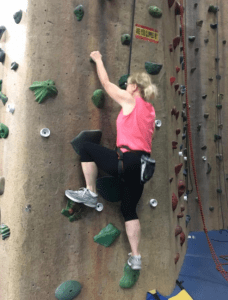 The workout needed “Levels.” I couldn’t think of an exercise as just one exercise…I had to think of 2 options to make it easier and 2 options to make it harder. This simple change of mindset allowed me to design a workout I was confident would be perfect for the group. The next time out, not only did the workout go smoother but the parents loved it! “That felt like personal training!” one of them said. “Yeah! There were so many options,” said another. “I feel like anyone could have done that workout,” another parent said. I had a newfound confidence. Not only could I train adults, but I was good at it too! Over the next couple months, word started to spread and before I knew it, my parent groups were just as large as my athlete groups. 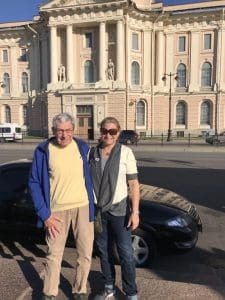 I found myself starting to enjoy the relationships I was creating with the parents and found it really gratifying to see them develop a relationship with exercise again. Not only were they doing it, but they were enjoying it! The groups forged relationships together and kept each other accountable just as much as I did. I really could get used to this, I thought! Meanwhile, winter off-season was winding down and my athletes were getting ready for their spring season. One by one my athletes left to focus on their high school season. The general consensus between my athletes was that training was for the off-season. Now it was time to focus on their sport. I knew this was not the right way to approach their conditioning and that something needed to be done in-season to maintain their results. No matter how hard I tried I could not convince the athletes or their parents of the necessity of training year round. I told them that if they don’t work to maintain their results then we would be starting over again next year. It didn’t seem to matter. It was too hard to change the mindset. It was at this time that I realized something. I was begging my athletes to stay while at the same time I was turning parents away. My athletes were leaving and their parents were still coming back to an indoor baseball facility in the middle of the spring time to get their own training. They were dedicated, they saw the value and they wanted more. It was time to change my mindset. By the end of spring I was training a few athletes here and there but most of my groups were parents and friends of parents. With new people being added to groups each week, I realized there was a KEY INGREDIENT missing. When I started training my baseball players, I took them through a full assessment. I discovered each player’s strengths and limitations through an assessment specific to baseball players. Research showed that in order to perform at a high level and remain injury free, there were prerequisites for strength and flexibility (optimal degrees of shoulder external rotation, optimal degrees of hip internal rotation…things of that nature). Why the heck wasn’t I doing this for my parents? I had to find something for this group of people (the average Joe or Jane). It didn’t need to be as specific as my baseball assessment but it had to accomplish the same goals: Keep people SAFE during the workout while increasing their performance over time. Yes I had modifications for the workout so that everyone could get through it but I didn’t really know where someone should start or if what I was giving them in the workout was actually helping them get better at something. 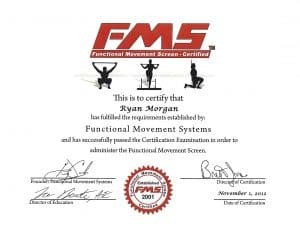 The lightbulb moment came November 1, 2012 when I became certified in the Functional Movement Screen. The Functional Movement Screen is a screening tool used to identify limitations or asymmetries. This tool allowed me to use objective and scientifically validated standards to assess an individual’s baseline of movement quality and build foundations for lifelong success. It allowed me to train with purpose as opposed to guessing what’s wrong or right for someone to do. Fast forward 5 years and it’s November 2017 and the once 15 X15 square of a gym has morphed into an almost 4000 sq. ft fitness center focused on creating lifelong results for adults 45 years and older. We have narrowed our niche to this population because we want to create a comfortable environment of like minded people who also share a lot of the same struggles, obstacles and interests. In the beginning, my goal was to be the best gym for everyone. Over time, I have realized that is unrealistic, if not impossible. You can’t be the best at everything but you can be the best at something. Training someone who is 25 years old is much different than training someone who is 55 years old. Don’t get me wrong…we have some 55 year olds who could out train some 25 year olds, but overall there is more to take into consideration when designing an effective workout. I get asked the question all the time “Do you miss baseball and training athletes?” I’ve thought about that a lot and have realized that in a way, we treat all of our members like athletes, regardless of what age or ability level they are. Athletes are pursuing their own goals and dreams and so are our members. Everyone has something that they want to achieve and everyone feels good when they make advancements and improvements that they can see and feel. The specifics of their goals may vary quite a bit, so exercise selection, load and intensity levels also vary to meet the needs of that specific individual. For example, an athlete’s goal may be to increase their deadlift weight so they can run faster and jump higher, along with building a stronger core that applies to their sport. Our members may do the same or similar exercises using a different weight or different equipment to meet their goal of being able to comfortably pick up a heavy bag of dog food and be able to carry it up the steps without difficulty. We offer a limited number of invitations for a free 2-Week Trial to people who are truly interested in trying the P3 Method. If you would like to request an invitation, click the link below. There is also more to creating a lifestyle change than just hosting workouts. 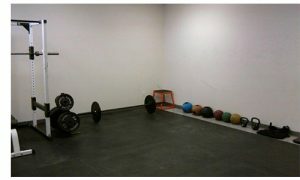 We have a method at Pursuit Fitness that we have given a name over the last year to reflect who we are and what we do. It’s called the “P3 Method”. Those 3 P’s stand for Personal, Progressive and Partnership. I’ll take a moment to explain each one and what those words mean to us. Personal: Taking people through our functional movement screen is the first step in customizing an exercise program to fit someone’s needs. This important step allows us to select the right exercises to keep you from getting injured in the beginning stages of an exercise program. One of the most common reasons for people not achieving their goals is an injury. They tend to lose motivation and never pick back up where they started. We refuse to be the cause of that frustration. We also care about getting to know our members on an individual level. We interview each member to assess THEIR goals and why this is important to them. Our team works to develop relationships with our members over time so that we will know how to challenge and support them to the best of our abilities. Progressive: Our initial screen keeps people safe but it also helps us make people STRONGER. Any limitations in the beginning will be targeted to get better. We help our members perform exercises more efficiently, which will help them get better results from each subsequent workout over time. Training smarter not harder, is the root of what we do and we frequently remind people that this journey is about PROGRESS, not perfection. 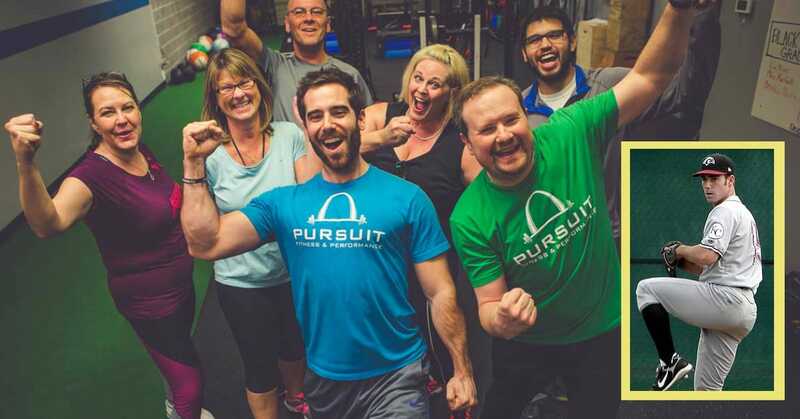 Partnership: When someone becomes a member of Pursuit Fitness they become a part of a thriving community of like-minded people who are dedicated to becoming a better version of themselves. You can’t find that type of environment just anywhere. We have worked hard to improve and protect that environment by being selective about the people we coach. This is why we don’t do Groupons or daily deals at our gym. We want the ability to control who enters our doors because it is the people that are a part of our community that make our gym so special. We also believe this is a partnership between our members and our coaches. Any great result from coaching comes from two people interacting together in a symbiotic relationship. We intend to be a guide and mentor but also depend on our members’ feedback to lead them down the right path. A partnership between our members and our team is what will create lifelong results. Through this method we have been able to create lifelong results and change the mindset of people who have tried many things in the past with no long-term success. A lot of times when people think of going to the gym they immediately think of losing weight. Our goal is for weight loss to be a side effect of creating healthy habits. 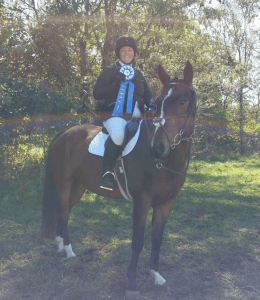 Our members are doing more than just losing weight. They are living a higher quality of life which they will carry on through the end of their career and well into retirement. So many people work their whole lives for retirement but don’t think about taking care of themselves through the process and thus their quality of life suffers at the time they should be enjoying life the MOST! The coolest testimonials we hear today are the ones of our members who notice that they are actually getting more out of LIFE. These are all things that our members have been excited about and have shared with us. These things MATTER! You see, too many times people are sold health and fitness as a quick fix. New workout machines and magic weight loss potions are sold to you every day…and people buy them. But guess what? None of them actually work. Well they may work…for a month or maybe 2…or if you’re lucky even 3 but these results are 99% of the time SHORT TERM. True results come from acknowledging health and fitness as a lifestyle and realizing that you don’t have to be perfect to reach your goals. A lifetime of unhealthy habits is not easily undone. I started trying to out train a bad diet when I was 25 years old and it still was hard to change my habits. However I took the long approach and decided to make small changes over time rather than change all at once. The result was continual PROGRESS and not feeling overwhelmed. Deciding to cut out high fructose corn syrup and purchase healthier breads and pastas was the first step. Next, incorporating more vegetables and less pasta was the second step. Then finding healthier replacements for pasta was the third step…and so on and so forth. I still make decisions to eat lasagna or chicken alfredo at Italian restaurants and have a small addiction to ice cream in the summertime but guess what? I DON’T CARE. 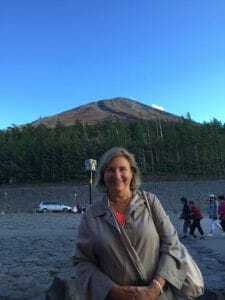 It is about the big picture, not the small slip-ups and if my balance of health tips over to the healthy side more than the unhealthy side, I am happy and content and I want to help as many others experience the same thing. I hope you’ll decide to let me help you along your own successful health journey. Until then, all the best.